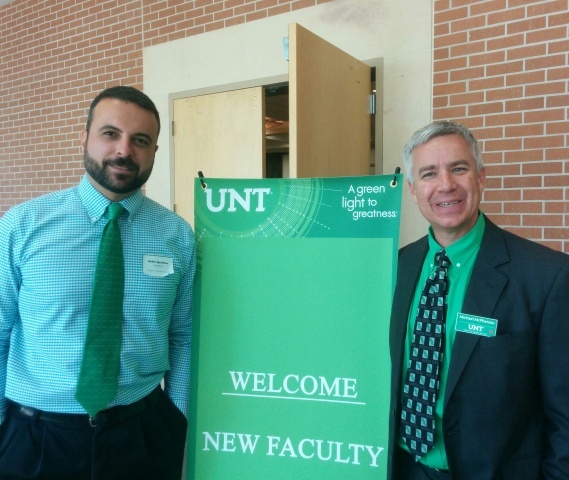 At this year's New Faculty Orientation on August 13, 2015, UNT welcomed over 70 new scholars, teachers, and leaders in mean green style. The all-day event featured a kick-off performance of the UNT Fight Song by the Green Brigade, an academic resource fair, and interactive panels with key faculty and campus leaders, including a welcome from President Neal Smatresk. We know that quality faculty members are hallmarks of a great university, and we want to make certain that all faculty are enabled to reach their full potential. Please reach out to a new faculty member to demonstrate your support. Consider taking a new faculty member to lunch, inviting them to a grant writing workshop, or helping them navigate through Blackboard Learn. Follow the link for a listing of the 2015-2016 New Faculty Members. Casual, Concise Convocation - Help Welcome 5,000 New Students! UNT will welcome approximately 5,000 new students this fall. They come with hopes and plans for their college careers, and look forward to meeting their faculty at New Student Convocation. Please join us in welcoming our new students! New Student Convocation will take place at 4:00 pm on August 20, 2015, at the UNT Coliseum. Dress for faculty is business casual. Following New Student Convocation, faculty are invited to attend Mean Green Fling (5:00 pm - 7:00 pm) at Apogee stadium. Faculty and their famiies are invited to interact with the students, participate in a wide range of activities and games, and to collect some coveted Mean Green gear. Want to Know Your Students? Have Lunch with Them! As part of this year's First Flight Week, faculty are invited to interact with incoming students in a low stress environment during lunch in the dining hall (Kerr, Bruce, or Victory) from August 17-21, 2015. This will be an opportunity for students and faculty to connect with each other prior to the start of the fall semester. Students may want to ask questions regarding expectations in freshman classes, where to find the dean's office or they may want to learn more about you. Learn more here. The annual Teaching Excellence Seminar is scheduled for August 20, 2015 in the Gateway Center Ballroom. This event, co-sponsored by the Office of the Provost and CLEAR (the Center for Learning Enhancement, Assessment, and Redesign), is designed to engage our newest instructors in important dialog about teaching and to explore UNT's teaching resources and polices. Though TES is closed for registration, all sessions will be recorded and posted on CLEAR's website within a few days of the seminar. 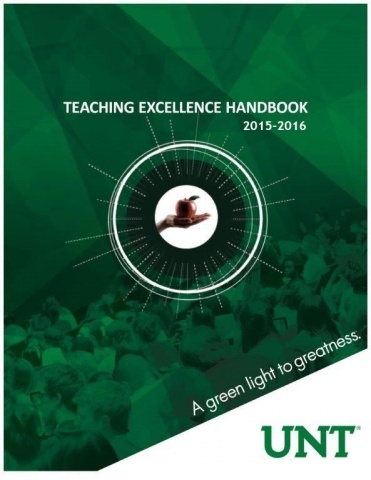 The 2015-2016 edition of the Teaching Excellence Handbook has been released. This handbook serves as an important resource for faculty who are responsible for instructional activities at UNT. In this comprehensive guide, we have compiled important university information and helpful tips that will assist you in carrying out your teaching responsibilities. Whether you are a first-time Lecturer or an experienced Full Professor, we hope that this handbook is a useful aid. The Women's Faculty Network (WFN) is an organization that provides women faculty at all stages of their careers with professional development, mentoring, and networking opportunities. On September 3, 2015 from 5:30 pm - 8:00 pm, women faculty are invited to attend the fall's Women's Faculty Network reception. At this kickoff event we will welcome new women faculty, celebrate recent successes, have a casual discussion with UNT's Distinguished Research Professor, Dornith Doherty, and see her inspirational artwork. The event is by invitation only. If you received an invitation and plan to attend, please register here by August 27, 2015. Please remind your graduate students about CLEAR's August 28, 2015 GSTEP (Graduate Students Teaching Excellence) Program deadline. This is an outstanding program designed to aid graduate students in their teaching skills, and to empower their careers as future faculty members. The Center for Learning Enhancement, Assessment and Redesign (CLEAR) works closely with faculty to maximize their teaching effectiveness through a variety of instructional mediums. On August 25, 2015, CLEAR will host an interactive webinar "Teaching at UNT: Introduction to Resources," which will give faculty a look at various tools and aids available to support their teaching. Additionally, CLEAR's Teaching Resources for Engaged Educators (TREE) Program provides training modules in 10 different areas. These areas can be selected based upon interests and needs, including course design, student learning, classroom teaching, teaching with technology, academic integrity, engaged learning, and online teaching. Training is provided at the introductory, intermediate, and advanced levels. More information about CLEAR is available on their website, Subscribe to the CLEAR newsletter here. Loans, interest, and debt: these are words that can cause students stress. Dr. James Duban, professor of English, Associate Dean for Research and National Scholarships for the Honors College and TAMS, and Director of the Office for Nationally Competitive Scholarships, spends much of his time helping students pursue nationally competitive scholarships that may assist students with the financial pressures of student life. Read more here about Dr. Duban and the work he and his colleagues are doing in his office to help UNT students. "The Secret Lives of Faculty"
To kick-off the 2015 Salute to Faculty Excellence Week, brave UNT faculty members will present Pecha Kucha sessions on the theme "The Secret Lives of Faculty" on September 28, 2015. Sponsored by the Center for Learning Enhancement, Assessment, and Redesign (CLEAR), Pecha Kucha is Japanese for "chit-chat" and describes a presentation format using 20 slides which advance automatically in 20 second intervals. This will be the second year CLEAR has used this format for the event, and the feedback from last year's attendees indicated that the program was "funspiring" - both fun and inspiring. You can listen to the recordings from last year's Pecha Kucha here. Don't miss out this year! Registration details are available on the CLEAR website. Apply Now: Fund Your Publishing! UNT Libraries Scholarly Publishing Services is holding a competition for grants to UNT teaching faculty for use towards publication fees to publish new works of scholarship under the Eagle Editions imprint during 2016. There will be up to five grants of up to $1,000 in the fall of 2015, and applications must be submitted by October 1, 2015. For more information, visit the competition website. The Student Evaluation of Teaching Task Force has been busy this summer piloting the IASystem, an instrument developed and delivered by the University of Washington. Preliminary feedback suggests that faculty prefer the system over the SETE and appreciate the transparent scoring system, quick reporting features, and customized survey formats. To learn more about the system, please visit the IASystem website and attend the Faculty Senate meeting on September 9 (2:00 p.m., WH 322). The task force will present their comprehensive report. A key finding from the report reveals that students prefer an earlier administration period because of challenges they face preparing for finals, completing projects, and wrapping up other end-of-semester requirements. Please mark your calendars for November 9 (12:00 a.m.) - November 22 (11:59 p.m.) for the Fall 2015 administration of student evaluations. If you have any questions, please do not hesitate to contact evals@unt.edu. During her Faculty Development Leave, Professor Claudia Howard Queen sought answers to her question: "How can the principles of Qigong, an ancient Chinese healing art, be incorporated into music for dance to facilitate health and longevity in dancers?" Claudia Howard Queen is a composer, multi-instrumentalist dance musician, and an Associate Professor of Music for Dance. For a semester, Queen immersed herself in the study of Qigong through classes, books, CDs, DVDs, websites, and daily practice of Qigong movement and meditation. To learn more about how Professor Queen plans to incorporate this new style of music into the live original music she provides for technique classes at UNT, read about her experience here. Building, strengthening, and sustaining UNT's administrative leadership is an important part of the work that we do in the Office for Faculty Success. Upcoming events are listed below. Please send stories of your accomplishments or those of your colleagues to faculty.success@unt.edu. Your narratives will provide context for upcoming features on the Faculty Success website. 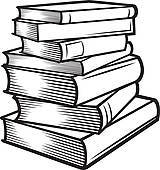 We would like to hear about awards, grants, books, performances, and other recognitions and accomplishments. As always, we are also eager to hear of your ideas, comments, and/or suggestions for the next Faculty Newsletter. Feel free to e-mail us anytime!